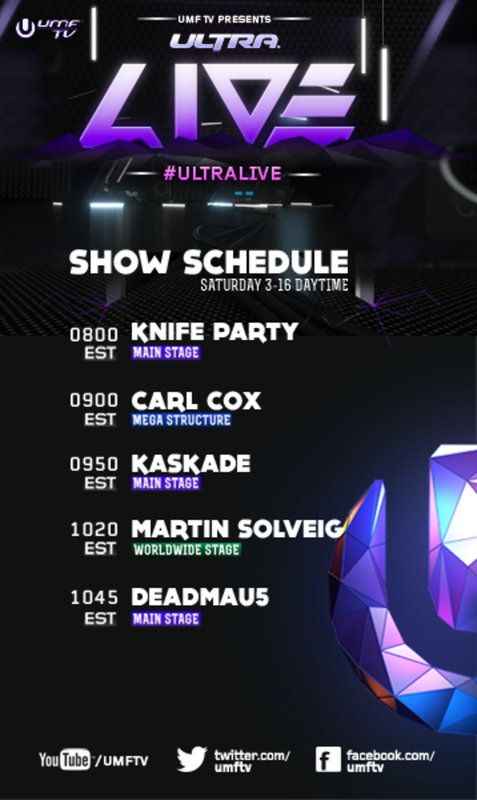 We brought you the stream of the 2013 Ultra Music Festival&apos;s Day 1 activities, and we&apos;re back again for the second day starting at 4PM EST, running to midnight. And just like that stream, DAD will have it up for you until its gone (and if you miss it, check the re-broadcast from 2AM to 10AM EST). 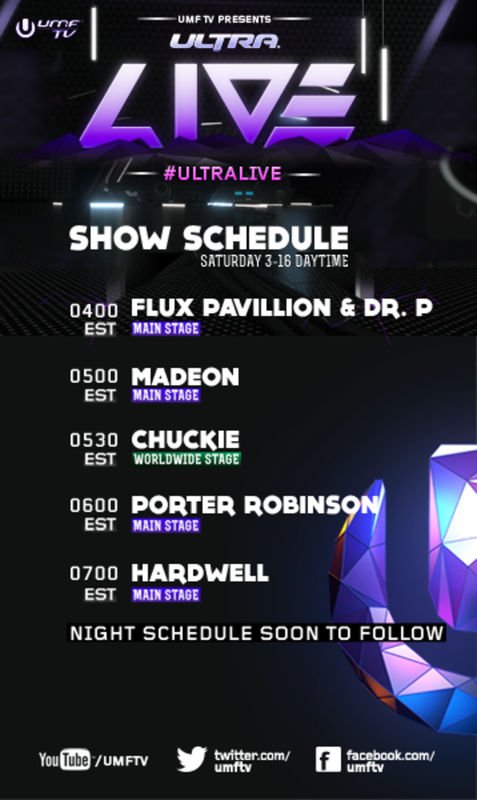 If you&apos;re in Miami for the UMF, don&apos;t forget to check the complete list of 2013 Ultra Music Festival set-times for this weekend and the next. AND, if you want some live play-by-play, follow DAD&apos;s own @808sJake on twitter as he&apos;s on the ground giving us the lowdown. Enjoy!